Barrick Gold Corp.’s new chief executive officer has a message for the gold industry: This is just the start of a big shake-up. Barrick agreed to buy smaller rival Randgold Resources Ltd. in a $5.4 billion deal announced in September. As part of the agreement, Randgold’s CEO, Mark Bristow, became the chief executive of Barrick, the world’s biggest gold miner. Since the deal was announced there has been speculation that it could spur a new wave of consolidation of rivals, such as Newmont and Goldcorp. By combining the two companies, Barrick says it will run five of the 10 best gold mines in the world, with operations from Nevada to South America and Mali and the Democratic Republic of Congo. 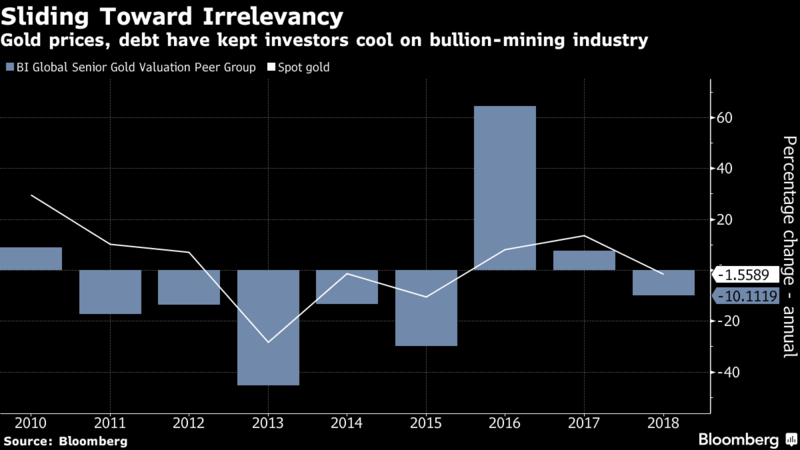 The deal happened at a time when gold mining has fallen out of favor with many investors after a year of lackluster bullion prices and a recent history of costly takeovers and mine developments that racked up debt but didn’t pay off. Randgold’s more than 20-year listing in London ended Wednesday as its merger with Barrick was completed. It’s been one of the U.K.’s most successful corporate stories, gaining more than 5,000 percent so far this century. While John Thornton will continue as executive chairman, Randgold personnel will populate much of the upper management. Graham Shuttleworth, who was Randgold’s chief financial officer, assumes the same role in the merged company, while Randgold’s Willem Jacobs will head Barrick’s Africa and Middle East division. He has already attended meetings in Tanzania, where Barrick has one of its most intractable problems. Since the deal was announced there has been speculation that it could spur a new wave of consolidation as rivals such as Newmont Mining Corp. and Goldcorp Inc. respond, while Barrick is also likely to look to hive off some assets.